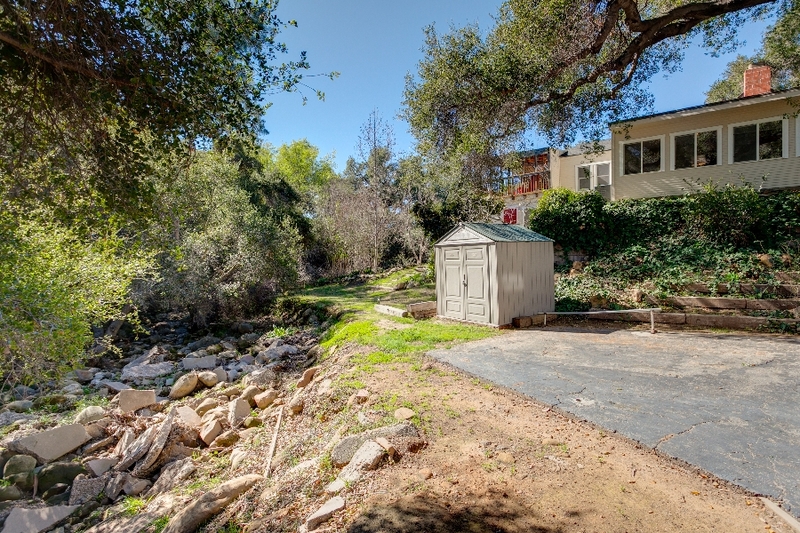 Surrounded by mature trees and with a seasonal creek and waterfall at the back of the property, this gated home feels like a secluded oasis. Clearly designed with entertaining in mind, this unique property has a large deck, fire pit and multiple outdoor living areas. Low-water landscaping, fruit trees, a garden area and mature landscaping add to the oasis feel, while two large parking areas and well-designed outdoor entertaining areas make social gatherings a must. 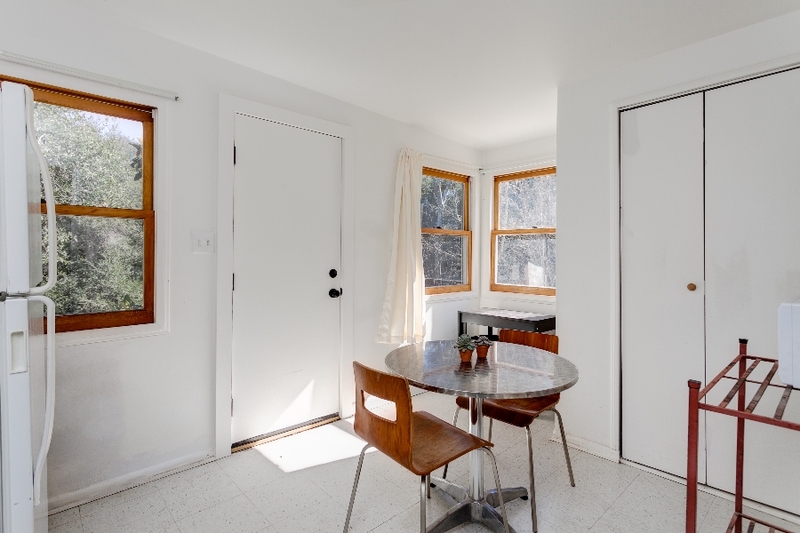 There is a detached, single-car garage for additional parking, a workshop or art studio, guest quarters with a separate entrance, RV parking and much more that makes this hidden gem a must see. This park-like retreat is a truly unique find in this area and offers a taste of country living just off of the main road through the valley. It is not often that you will find a home for sale in Oak View that offers the privacy found on this property, which is situated at the end of the road with a dead-end street on either side and a seasonal creek running along the back. Because of its location, the property can be accessed from either Apricot Street or Olive Street, and there are guest parking areas available on either side. 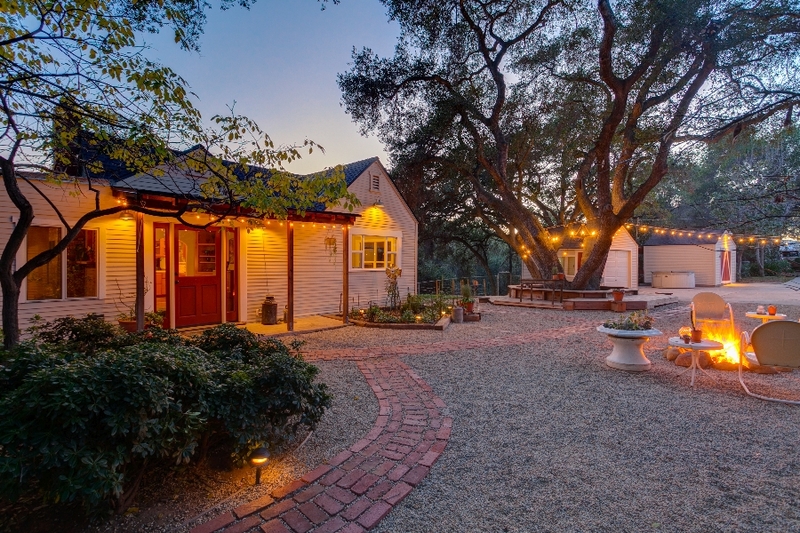 The upper level of the property is where you will find the gated entry, house, garage, workshop and one of the outdoor living areas, which includes a fire pit and wood deck wrapped around a heritage oak tree. There is also a garden area, ample guest parking and a gate to the second guest parking area on this level. Steps lead down to this additional, paved parking area, which has plenty of room for guest parking but is also a great place to park your RV, boat or other toys. Inside the home, you will find built-in shelves with glass doors and a brick, see-through fireplace between the living room and family room. The master bedroom with a walk-in closet is conveniently located on the main level, and the dining room and office area are bathed in natural light. The kitchen features tile counters, a tile backsplash and a coffee bar tucked beside the refrigerator to keep everyday small appliances out of view. 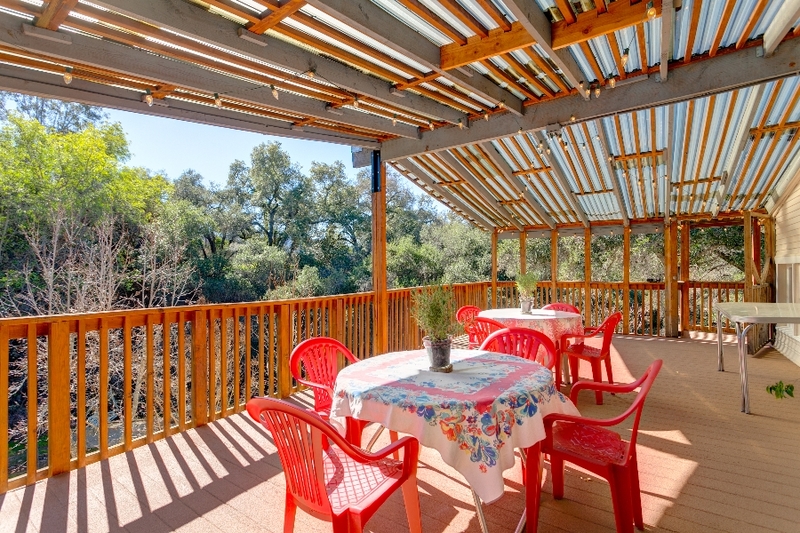 From the kitchen, it is easy to access the large, covered deck that overlooks the property and creek bed, which is sure to quickly become one of your favorite places to enjoy being outdoors in your park-like oasis. 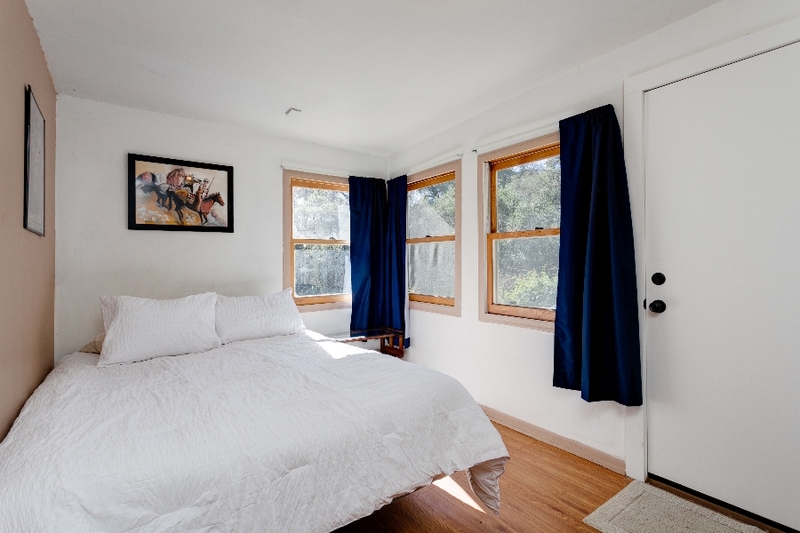 Downstairs, there are three guest bedrooms, a bathroom and the laundry room. Two of the bedrooms have separate entrances, two have large closets, and one is currently set up as a kitchenette for guests. 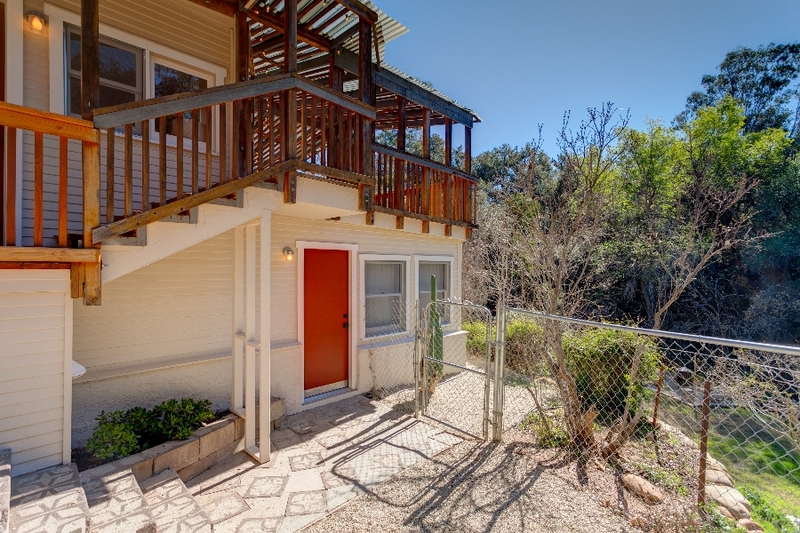 The Oak View location makes for an easy commute to Ventura and beyond, and driving just a few minutes delivers you to Lake Casitas, downtown Ojai, hiking trails and all that the Ojai Valley has to offer. Spend your weekends walking to shops and restaurants in this walkable neighborhood, or relax under the oaks in your private yard. 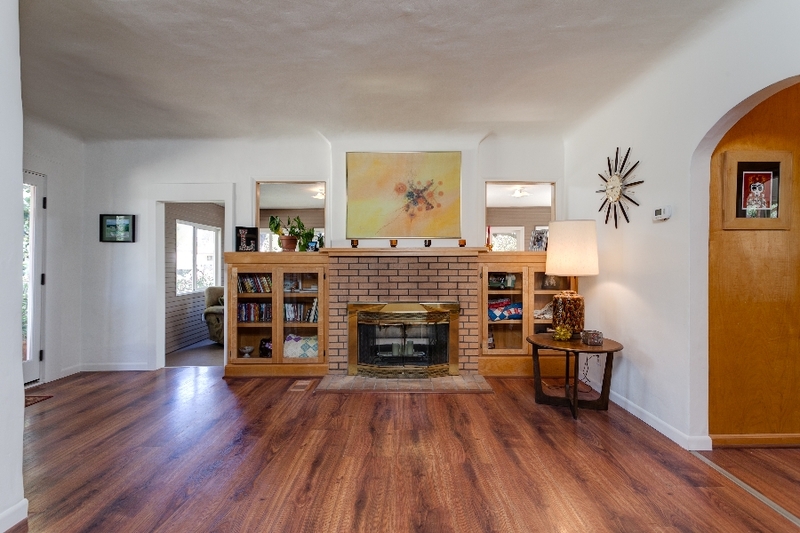 To learn more about this Oak View home for sale or other homes for sale in the Ojai Valley, contact Nora today.